Discover how the HDC’s reputable esthetics school can make a huge difference to achieving your career goals. Learn your craft and benefit from hands-on, practical experience. The esthetics industry is thriving in Atlantic Canada, and if you’re passionate about making people look and feel their best, the HDC’s Esthetics Program is for you. You will love the creativity and flexibility that your esthetics career gives you, and the satisfaction that comes from knowing that your clients leave your treatment with more confidence than they had when they came in. This unique, comprehensive program offers students the opportunity to learn in a traditional classroom, and refine their skills in our on-site, fully functional spa. In fact, our Esthetics Program is so robust that 9/10 graduates secure a job in the industry within a month of graduation. Designed and taught by cosmetology experts, the Esthetics Program gives students a solid foundation in the critical skills they need to build an exciting and rewarding career as an esthetician. To begin, students train to develop a fundamental understanding of esthetic services such as facial services, hair removal, makeup techniques, nail services and enhancements. Following this, students are given a grounding in the skills required to give their clients high-quality treatments. This includes general sciences such as infection control, anatomy, chemistry and skin sciences. Finally, to ensure our students are able to build and manage a successful career, our course includes training in business-building skills. Graduates will learn how to manage clientele relationships and retention, deliver product recommendations, and plan their careers—all critical skills for the development of a long and successful career in esthetics. Our full service SpaZone allows our students to offer guests the complete spa experience, while developing hands on practical experience needed to pursue a career in the ever growing field of esthetics. Throughout the 10 months and 1,500 hours of training, you’ll have multiple opportunities to provide treatment to real clients, putting your classroom training to use, and growing your confidence. When you successfully complete the Esthetics Program, you’ll receive your diploma and will be one step closer to starting your career. Esthetics is a legislated licensed trade within Nova Scotia. 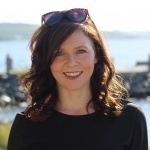 To gain your license as an esthetician, you’ll need to complete an exam administered by the Cosmetology Association of Nova Scotia at the end of the program. With the knowledge and practical experience you gain during your time in the HDC’s Esthetics Program, you’ll be in a great position to start your career. At the HDC, there are five start dates for the Esthetics Program, traditionally in: February, April, July, September and November. To create an atmosphere that helps our students learn, group sizes are kept intentionally small. To secure your space, ensure that your application is completed 4 weeks prior the start date. Once processed, students usually find out if they have been admitted to the program 2 weeks after their submission was received. Your tuition & fees cover everything you need to successfully complete your course, and get started in your career. The HDC has carefully selected the materials and tools identified below to ensure they represent the best and most reputable brands on the market today. This ensures our graduates are confident using premium beauty products and tools. Students in the Esthetics program are able to apply for a $500 bursary, proudly offered by the HDC. Click here to see the requirements, learn more about the bursary, and apply. Apply now for the HDC’s Esthetics Program! 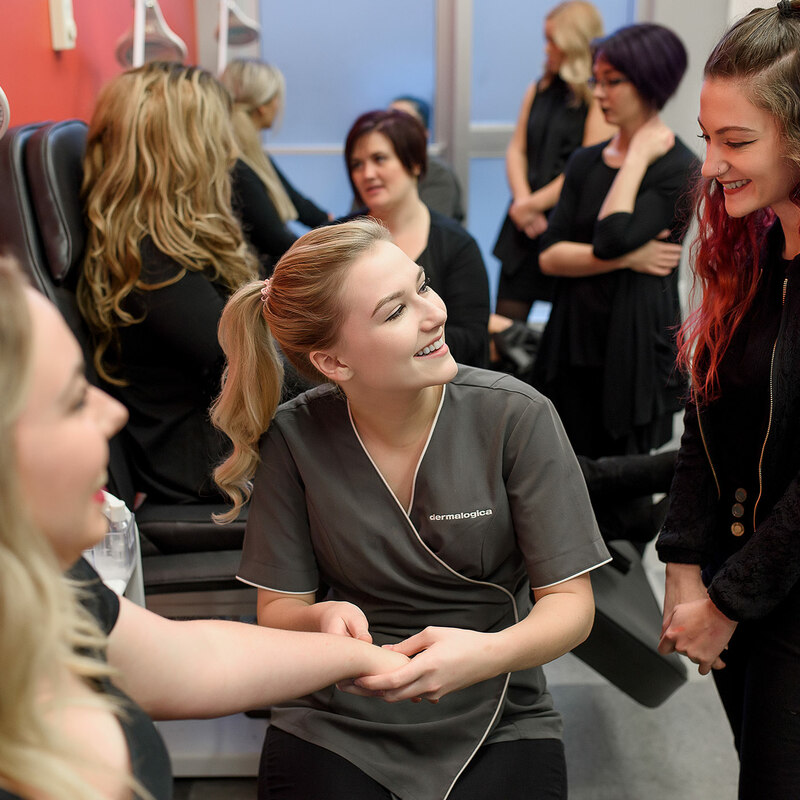 As Atlantic Canada’s most respected esthetics school, we’ve been helping students in the beauty industry learn and thrive for decades, and we look forward to helping you cultivate your skills as an esthetician. Thanks to our unparalleled experience in the industry, and our innovative course that combines hands-on training with traditional teaching, our hair design & esthetics program graduates achieve a 90% employment rate within 30 days of completing the course. The HDC is proudly a part of the Salon Resource Group, and our graduates benefit from this by often beginning their careers one of the amazing salons in the group, including The Head Shoppe and Vitality Medi Spa.